Arrested Development fans already drooling at the prospect of the show’s reboot, coming soon on Netflix, can get even more excited, as the shows creator is confident the movie will get made as well. 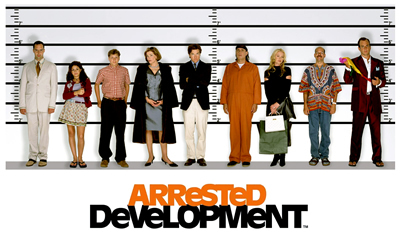 Arrested Development Movie on the way? He also said that the original plan was to go straight to the film, but there was more of the story that he wanted to tell, hence the new season. Mitch was joined in the session by two stars of Arrested Development, Will Arnett and Jeffrey Tambor, and also gave some sneak peeks from forthcoming episodes which is well covered by Paste Magazine. The show is expected to hit the streaming service in May, and viewers can gorge on all fourteen episodes at once as Netflix continue their policy of putting out whole seasons from day 1.